Almost 30 years were spent in systematically searching, testing, researching and rejecting until the vision of the natural resonance-free radiation principle became an acoustic reality. This has resulted not only in one of the most elegant appearances in the loudspeaker market, but also in a masterpiece of precision mechanics. The decisive factor in the Manger® sound transducer was the logical turning away from the more than 75 year-old transducer principle used in conventional loudspeakers, therefore doing without the piston-like movements with their faulty reciprocal overshooting. In this way the Manger® sound transducer controls the complete frequency range from 80 Hz to 35000 Hz on its surface and is at the same time close to the ideal of the point sound source. The conventional splitting into several ways (tweeter, mid-range and woofer) for different frequency ranges is therefore avoided. 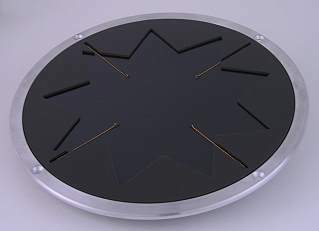 The active surface of the 19 cm diameter flexible diaphragm becomes smaller as the frequency increases so that the effective surface is always kept small in comparison to the wavelength to be radiated. That the Manger® sound transducer in spite of its large frequency range of between 80 Hz and 35 kHz and its sensitivity of 91 dB 1W/1m can achieve the tremendously fast rise time of 13 µs is attributable to many design finesses. Each Manger sound transducer is made under extremely close tolerances by hand and using special machines. A task that is more comparable to that of a watchmaker than the mass production normally found nowadays in loudspeaker manufacture. 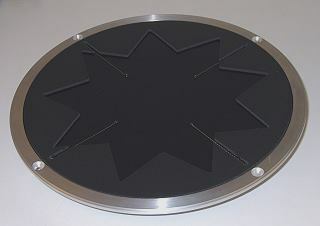 A test record ensures that each transducer is exactly the same as the other and also identical to the reference model. The otherwise standard practice of choosing two as closely matched speakers for a stereo pair is not necessary simply for this reason. 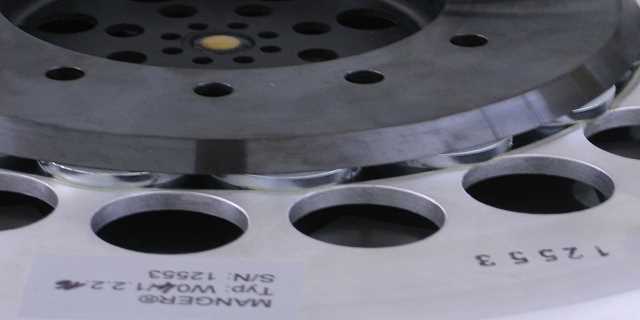 The complex production process, the exact checking and the final autographing make each Manger sound transducer an unmistakable and unique item. 20 cm full range driver with high quality cone. 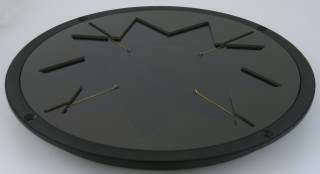 A magnet system based on Neodymium magnets is used.